Google is looking to take over the smartphone industry by storm this year! 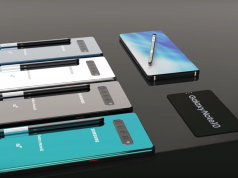 The Android parent is planning to launch a bunch of new smartphones during the upcoming months and they will all be packed with powerful specs and unique features. However, Google is going to do something different this year in comparison with the others because it’s also planning to launch an affordable version of Pixel 3. The affordable smartphone will be called Pixel 3 and it will deliver similar performances as the original model, but it will feature a lower price. 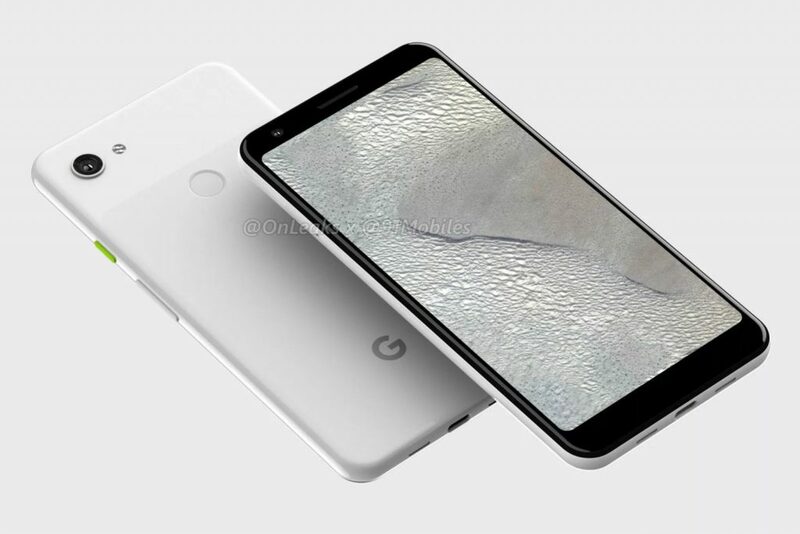 While we already knew that Pixel 3 Lite is being developed by Google thanks to previous leaks, what we didn’t know is that Google is also working on a bigger model called Pixel 3 Lite XL. This is the big surprise that Google has in store for Android fans and the smartphone’s codename is “Bonito”. 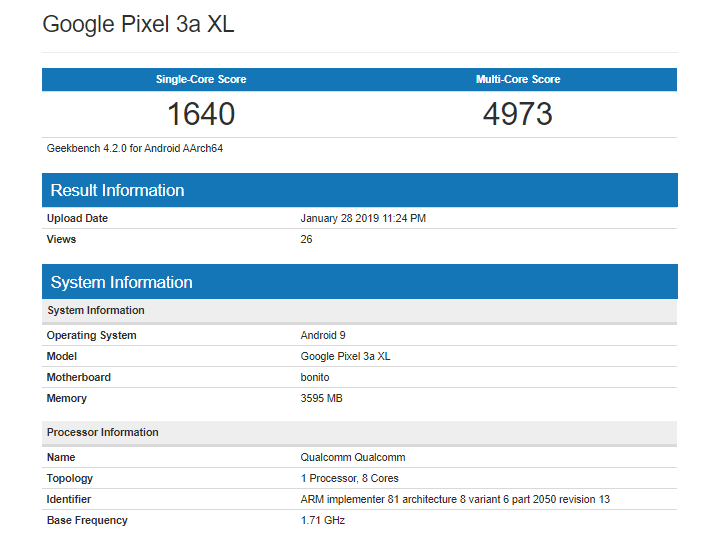 Nonetheless, the reason why we are talking about Pixel 3 Lite XL today is that the smartphone has been spotted on GeekBench. Pixel 3 Lite XL scored a whopping 4,973 points in the multi-core test and 1,640 points in the single-core test. This is rather impressive, especially since Pixel 3 Lite XL is said to be a mid-range smartphone that will feature an affordable price tag. From the looks of it, Pixel 3 Lite XL will be powered by Qualcomm’s Snapdragon 710 CPU that clocks at 1.71GHz. The CPU is also paired with 4GB of RAM, but this shouldn’t come as a surprise to anyone since all Pixel smartphones have been paired with 4GB of RAM. 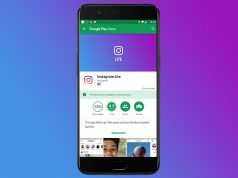 Considering that Google is the company who is in charge of the Pixel smartphones, no one should be shocked to find out that Pixel 3 Lite XL is running on Google’s latest Android 9.0 Pie operating system. Previous articleMoto G7 Gets Leaked – Snapdragon CPU Confirmed!